This cute and classy designer quilted vest is one of our favorite winter pieces! 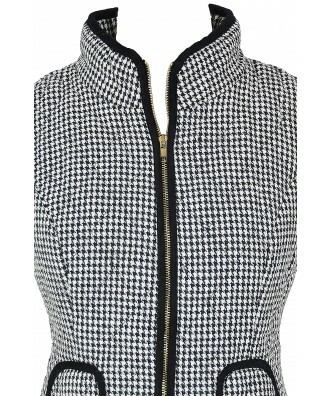 The black and ivory houndstooth pattern is a great timeless wardrobe staple and this quilted vest is comfy and cozy. 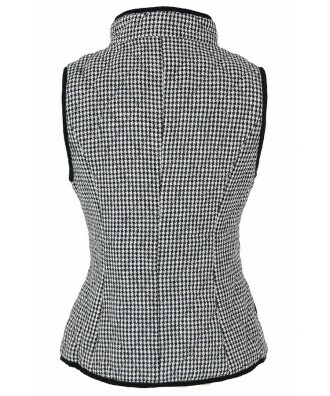 The Black and Ivory Houndstooth Quilted Vest is fully lined and has a quilted, slightly puffy style. 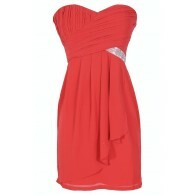 It features an exposed front zipper and a pocket on each side outlined in black fabric piping. 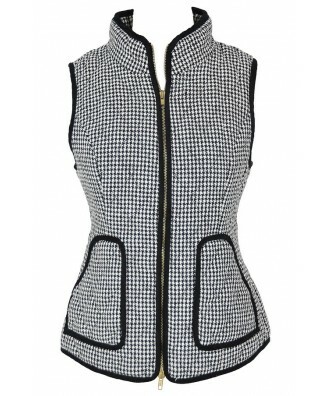 The Black and Ivory Houndstooth Quilted Vest is a great après ski look to take with you on your next vacation—or wear it cute and casually on the weekends. 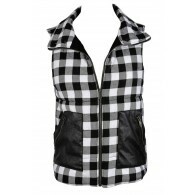 This vest looks perfect worn over a black fitted tee paired with denim and black boots or with black leggings. This is a vest you can wear for years to come—the pattern never goes out of style! Details: Fully lined. Front zipper. Shell: 100% polyester. Contrast: 100% cotton. Lining: 100% cotton. Dry clean only. 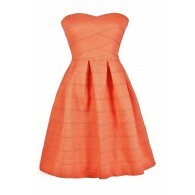 Small measurements: Length from top of shoulder to hemline: 22”. Bust: 32-34”. 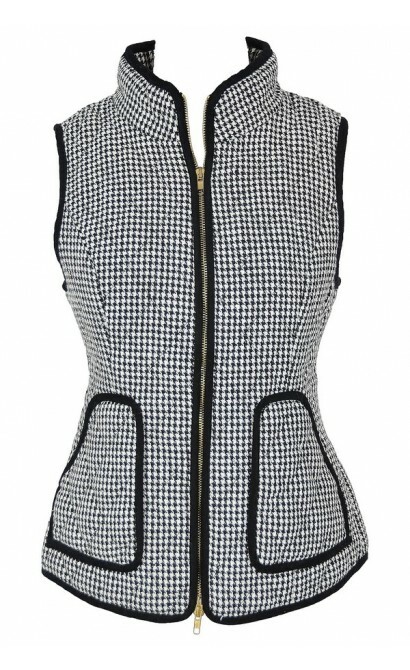 You have added Black and Ivory Houndstooth Quilted Vest into Wishlist. 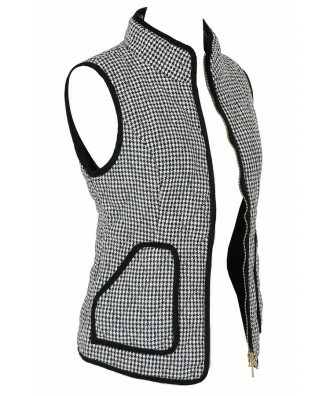 You have added Black and Ivory Houndstooth Quilted Vest for Stock Notification. 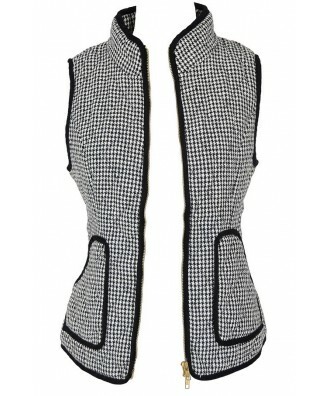 You have set Black and Ivory Houndstooth Quilted Vest as a loved product. 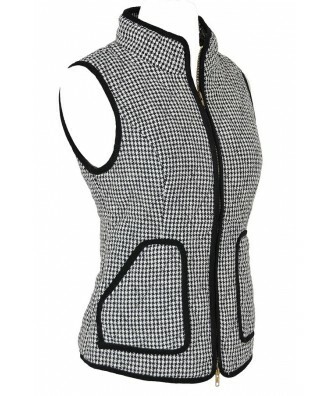 You have removed Black and Ivory Houndstooth Quilted Vest as a loved product.